The UK True Fleet has delivered another negative month for 2019 in what is usually the strongest month of the year (due to the new plate release). 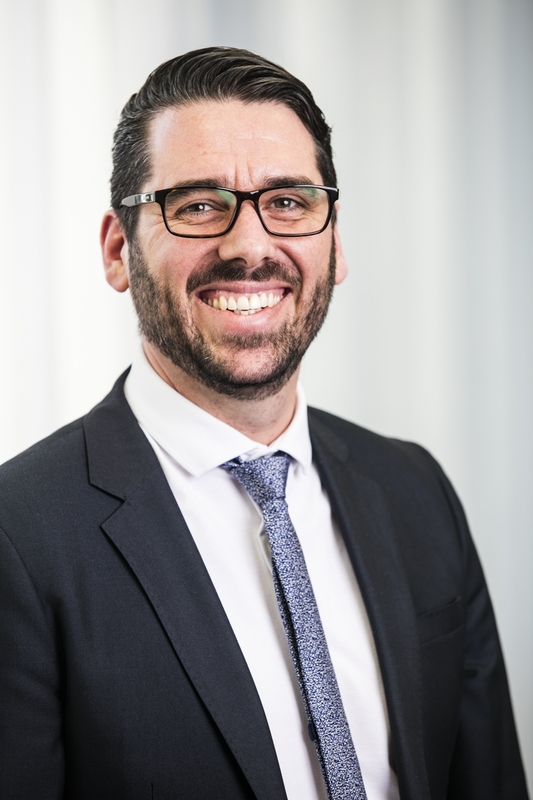 The Total Market finished with 458,054 registrations, down by 3.4% and it was the RAC/Short-Term Rental channel which arrested what could have been a much high slide thanks to its + 13.6%. Both the Private and Dealer/Manufacturer channel posted negative growths of 2.8% and 2.9% respectively and it was True Fleet which posted the largest contraction with a – 9.3%. The assumption here being that until the Brexit has been finally concluded (either way) the negative growth will likely continue along with the current nervous buying sentiment. For March’s top 10 performers there were seven OEMs with changes to their ranking, some good, some bad. VW re-took the number one spot for the first time in 2019, gaining a place from March 2018 results despite a 1.0% decline. 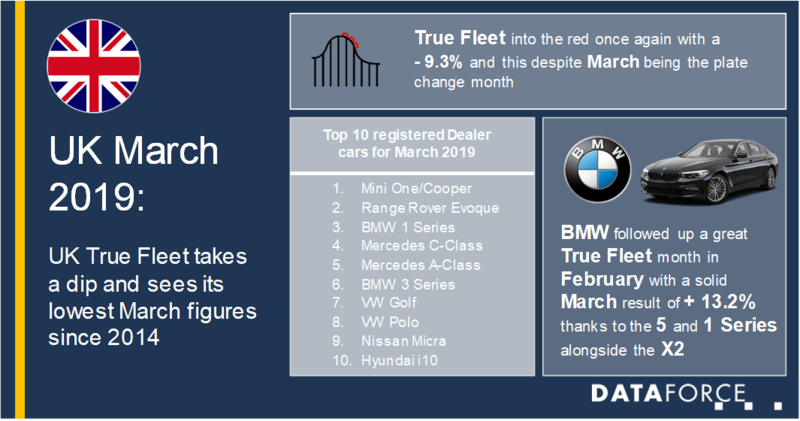 Mercedes and BMW followed, both with strong performances of + 7.2% and + 13.2% respectively and it is worth mentioning that BMW already ranked 1st in True Fleet for February. Ford was next in line with Audi and Nissan trailing them. Opel (Vauxhall) appears to be bearing the brunt of the downturn for the month, not only dropping six places into 7th but also with the highest decrease of 55.2%. Perhaps the only major plus point for the manufacturer was the performance of the Grandland X tripling its registrations (+ 221.1%). Toyota and Kia were the next two on the ladder, while SEAT entered the top 10 with a solid growth of 9.5% thanks mostly to the Arona and Ateca. SEAT’s latest SUV, the Tarraco has also shown up in the data (since Feb 2019) and given the success of the previous mentioned Arona and Ateca it will certainly be interesting to see for the rest of 2019 just how it will perform, especially in a somewhat challenging market place. Neither the Diesel or Petrol segment could post a positive March but both Hybrid (+ 6.7%) and Electric (+ 98.9%) did. Top 3 from the electric camp were the Nissan Leaf, BMW i3 and the Jaguar I‑Pace, with the Growler from Whitby taking 3rd place for the third time in a row. For Hybrids, no surprise to see Toyota at the top of the list with the C-HR finishing in front of the Mitsubishi Outlander and Toyota Yaris.